It's been 13 months since my last London visit and I'm not sure where the time has gone. It's the longest I've ever been away from the Capital in my adult life. 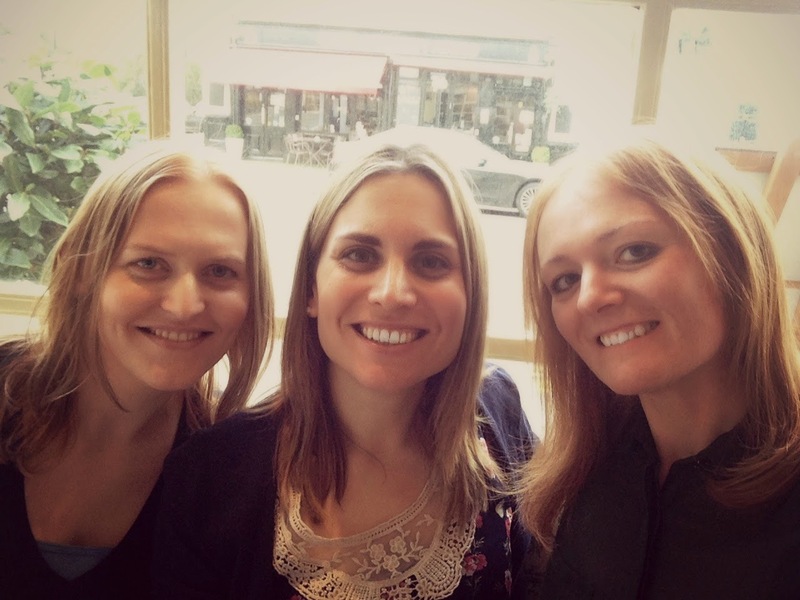 So when a sale popped up on East Coast trains a few months ago, promising single tickets to London for £12, I got in touch with my friend Sarah and arranged a trip to stay with her. To make the most out of the weekend I booked myself on to a 6.30am train out of Newcastle. The journey from the North East takes just over 3 hours so an early start was essential to make the most of my visit. I arrived at 9.45am and we made our way to Euston to meet our friend Karen who was arriving from Milton Keynes. London was the busiest I'd ever seen it. When I lived in London I would always avoid central areas full of tourists at the weekend so being back in the thick of the crowds felt a little strange. With several sporting events taking place and people visiting for Remembrance Sunday it was packed. The day began with a short tube ride to Chelsea for a walk down the Kings Road. Chelsea is one of my favourite places for pottering. There are so many shop windows and beautifully dressed people to admire. Having been up since 4.30am a hearty brunch was needed so we headed to Bumpkin, a small chain of brasseries across London. I was impressed with the range on the breakfast menu and chose the Eggs Benedict. 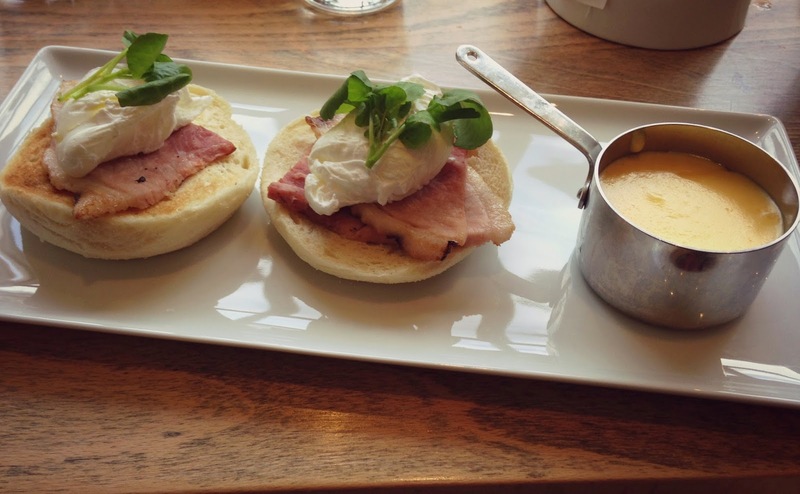 It was served on a muffin with a mini saucepan of hollandaise sauce and was really delicious. Sarah and Karen both had dishes served on toast and got disappointingly small portions with one slice of toast each. This, along with a pretty bad level of service, didn't leave us with a very good impression and although the restaurant was so cute with it's gorgeous garden inspired interior I wouldn't go back in a hurry. Despite it being a pretty drizzly day, London was very warm and we couldn't face heading back down to the tube so after our food we strolled towards the West End. I'd forgotten how warm London can get so spent a lot of the weekend regretting my decision to wear my fur lined parka. I was very happy that we did lots of walking outside rather than being trapped underground. Walking in London is one of the most enjoyable ways to spend a day and I'd always recommend it as the best way to move round the capital. Often you can get to places far quicker by foot and it's definitely more comfortable. It's impossible to get lost with so many buses and tube stations around and you can discover some great new areas of London. 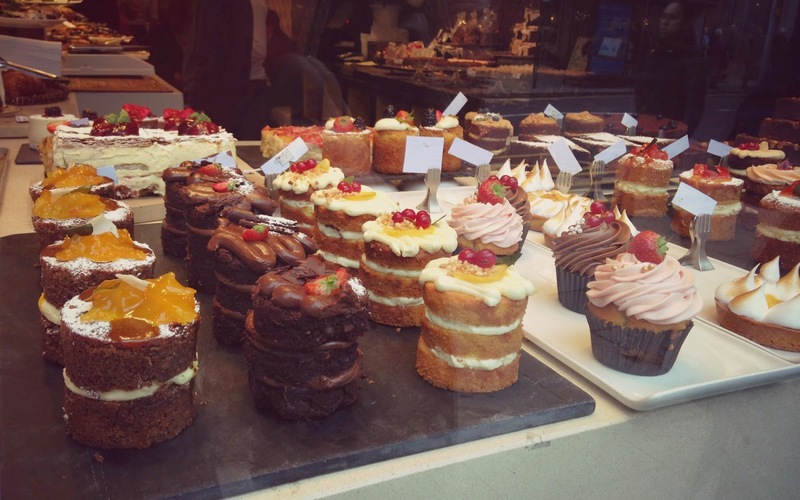 Our walk took us past the beautiful white buildings of Chelsea to the Museum District and along to Knightsbridge for a quick look round Harvey Nichols. After Karen had left us, Sarah and I braved the crowds and headed to Leicester Square to the W Hotel for afternoon tea. The W is quite a new hotel to London so somewhere I wasn't familiar with. It's in a prime location overlooking one of London's busiest tourist traps yet the hotel is so peaceful. We were shown to our table in the beautiful lounge that was made up of lots of private little seating areas with comfortable couches and chairs decorated with colourful tartan cushions. The afternoon tea was a themed "Fashion Power Tea" and was served on a rather special cakestand. The cakes were a Lady Gaga Red Velvet Cake, a Queen Elizabeth I cake and a Viviene Westwood inspired chocolate cake complete with signature tartan print and pink candy floss hair. It was one of the loveliest afternoon teas I've ever had. The cakes were delicious and so generous that we had to take some home in a box. All we were able to do at the end of the day was roll home to Sarah's flat to watch a DVD in our PJs! The next day we had just enough time to have a Sunday Roast before my train home. We headed to the City and settled down for some great food at the Drift. The Drift is part of Drake and Morgan, a small chain of really pretty bar/restaurants in London that I've been a fan of for a while. Each one has a different theme and the Drift is very much inspired by the beach with seashells and driftwood. After lunch we took a short walk to my old office for a quick look. It's funny how it all looks the same. I felt a little nostalgic and sad looking up at the building where I made so many wonderful friends and happy memories. As I turned my back on the City and headed back to Kings Cross my homesickness for London was soon replaced with the wonderful feeling of returning back to the North East to see Simon and my beautiful new home. It's OK to look back on a past life and feel a little sadness but it's far better to be excited about your new life and future. No regrets - the North East is my special place. One of the best I've ever had :) and it was so cosy in the lounge too, I'd definitely go again! I love the W Hotel, it's so funky and how cool is that cake table!! Sorry, you didn't have a good experience at Bumpkin, I've only been for dinner, I don't know much about the brunch. I know, I was a little disappointed :( Maybe it was just an off day! It looks like you crammed a lot into a short trip. I love that you can look back and smile but not have any regrets, it's a great place to be in life! And each one tasted as good as it looked! Looks like you had a lovely trip. 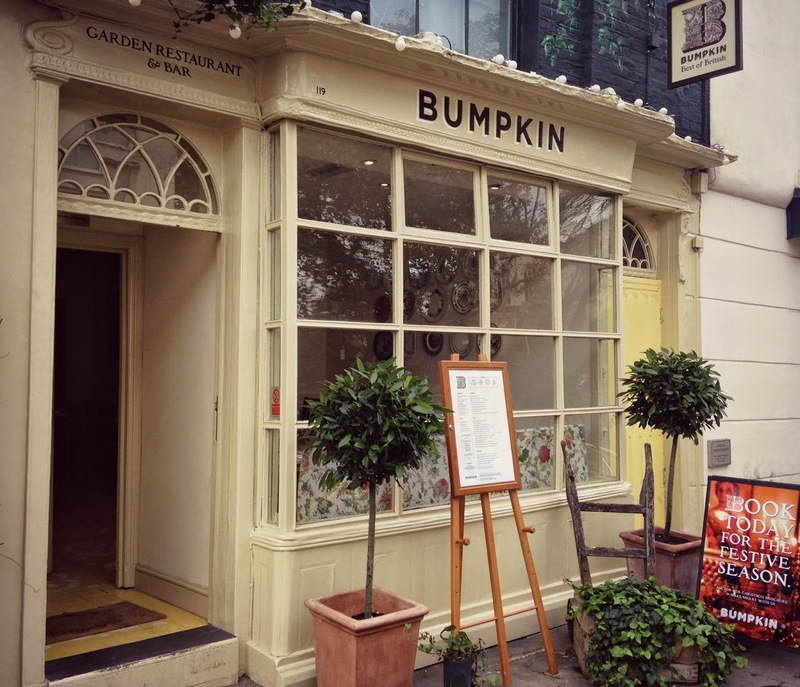 I've always heard good things about Bumpkin, so it is a bit of a shame you didn't get the level of service normally expected. 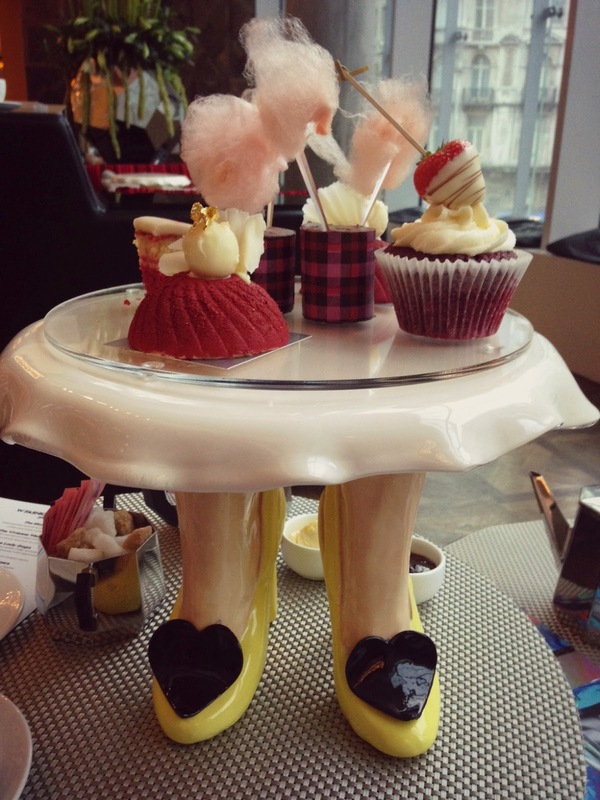 I love the shoes stand at the afternoon tea, so creative! I will be making a trip to the drift to give it a try, looks lovely. I'm thinking maybe they were just having an off day ... bit of a shame cos I was really looking forward to it. I can't even describe how excited I am about the prospect of living in London in a few years, and I really really hope I can get a job I like in the city! Posts like this make me even more excited because it shows just how much there is to discover there. That afternoon tea looks incredible!! Ah that last line got me! I am absolutely dying to visit London!!! It seems like such a magical place....dreams.. Would you like to follow each other on GFC?! Let me know and follow me on my blog, I will follow you right back on both GFC and Bloglovin! 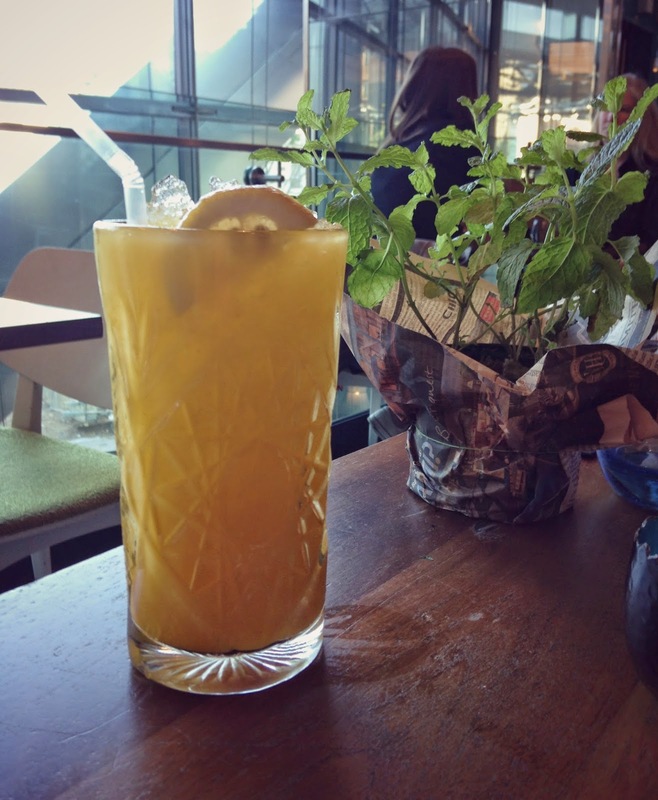 Your brunch at Bumpkin looks soooo yummy! Making me want to go for brunch tomorrow aha! I didn't rate Bumpkin much either when I tried it last year- I think it's over rated! I love the feeling of home- as much as I love taking trips outside of London, I always have a sigh of relief when I return, despite it's craziness- home is where the heart is!